It is a common misconception that only weak minded people can be hypnotised. Anyone with the desire to experience a hypnotic trance will. Those claiming they cannot go into a hypnotic state may simply believe they are surrendering their free will, or be under the false impression that it is mind control. This is, of course, untrue. Unlike sleep, hypnosis is all about heightened awareness and concentration. EEG results show the brainwaves of a person in hypnosis to be very alert and responsive. Clients are relaxed and peaceful, rather than asleep. It is also a myth that you can become “stuck” in a trance. It is also untrue that hypnosis can help find forgotten memories. You simply cannot, reliably, find details you have forgotten. If you have suppressed them, there may be a good reason, and searching to fill in the gaps can lead to False Memory Syndrome. Hypnosis is perfectly safe and accepted by recognised medical associations worldwide. It is a complementary therapy and like any conventional medical treatment, achieving lasting results takes time. Clients should be prepared to commit to at least 6 clinical sessions. – The National Hypnotherapy Society (USA). 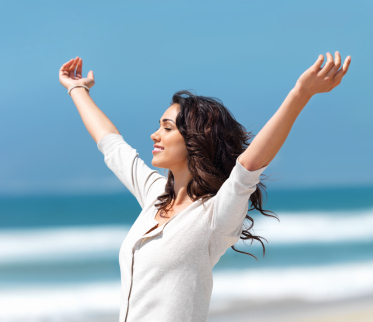 Being relaxing, natural and drug free, hypnotherapy is a powerful way of addressing any concern. Clinical research indicates that hypnotherapy provides rapid, personalised and permanent solutions to many health issues. Hypnotherapy is proven effective in the management of stress, anxiety, grief, the control of unwanted habits, addictions and self-limiting beliefs, for weight management, performance enhancement, motivation, overcoming trauma, insomnia, panic attacks and phobias, and in pain management. Remarkable results have also been achieved assisting clients to eliminate or alleviate the causal effects of some diseases, and most psycho-somatic (mind-body) conditions.